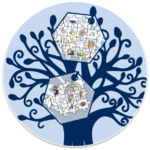 The ultimate goal of the Tree of Knowledge project is to reconstruct the mosaic of accepted theories and employed methods for any epistemic community at any point of time. Entered into a unified historical database, this data will become an invaluable resource for researchers and layman alike. In its scope and complexity, this project compares to similar projects from other branches of science, such as the creation of the Open Tree of Life or the World History Atlas. The project was first announced by Hakob Barseghyan on 15 January 2016. Create the schema of the historical database. Before any data can be entered into the database, we must clarify what kind of data needs to be stored in the database and in what format. Develop a website for the Tree of Knowledge. This website should allow entering historical data into the database as well retrieving that data similar to the Open Tree of Life website. Gather the data on one community and enter it into the database. This will help us test the database and see if it misses any important components, i.e. if we have included all the classes, properties, and relations that have to be included. The outcome of the pilot project will be studied and discussed by the Scientonomy community and necessary adjustments will be made to the schema of the historical database. The next step will involve inviting scholars from around the world to participate in filling the historical database with actual data on different communities and their mosaics. It is understood that due to its scope and complexity, this will be a ongoing project. This page was last modified on 25 February 2018, at 19:13.